There’s a little spring in my step. The change of season has me feeling a bit rejuvenated and totally upping my self-care game. Got my hair and nails done and I’ve been on a mission to upgrade all of the little things I’ve been slacking on. I’ve been treating myself better and it feels good. It’s a hottty hot time to treat yo’ self, too and I’m sharing more on that today! This post is sponsored by Mirum. All opinions are my own. 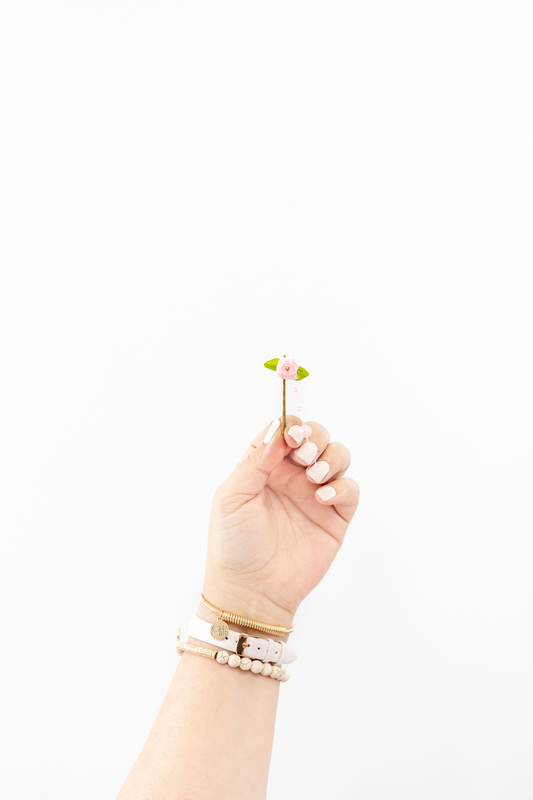 To kickstart a season of self-love, I’m sharing a super spring themed DIY. 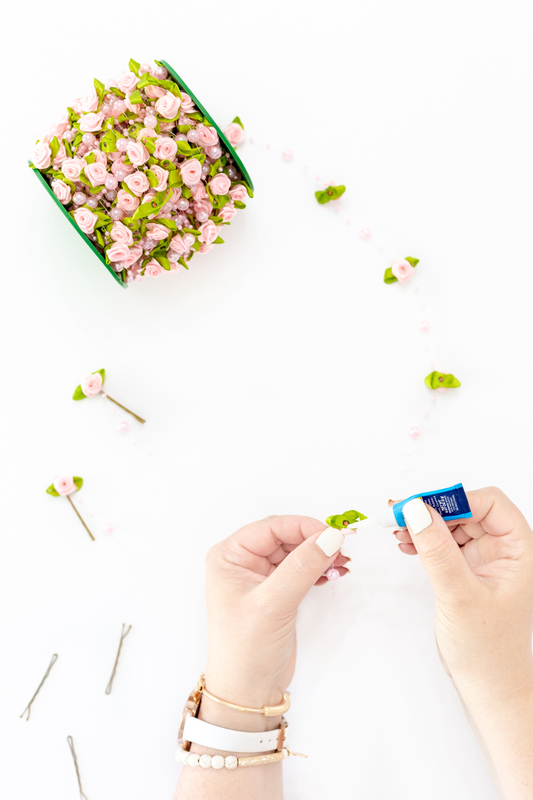 Enter these super cute Floral Hair Pins that you can make in minutes to give yourself a quick spring upgrade. Giving yourself some extra love & attention doesn’t have to be expensive or complicated either. That’s a win if you ask me! On that note, I’m sharing some easy ways to upgrade your routine and you’re going to love that it can actually be super budget friendly. 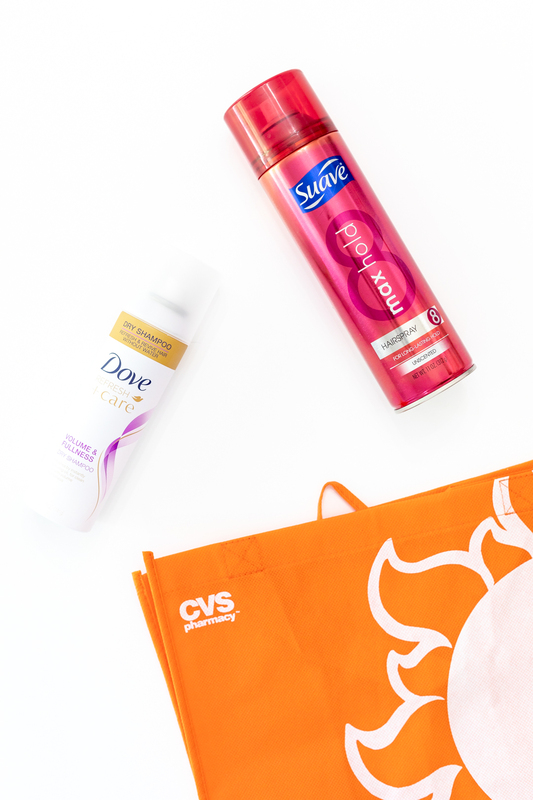 Right now you can visit CVS to shop for products like Dove Refresh + Care Volume & Fullness Dry Shampoo & Suave Max Hold Unscented Hairspray and score a great deal. More on that in a minute. 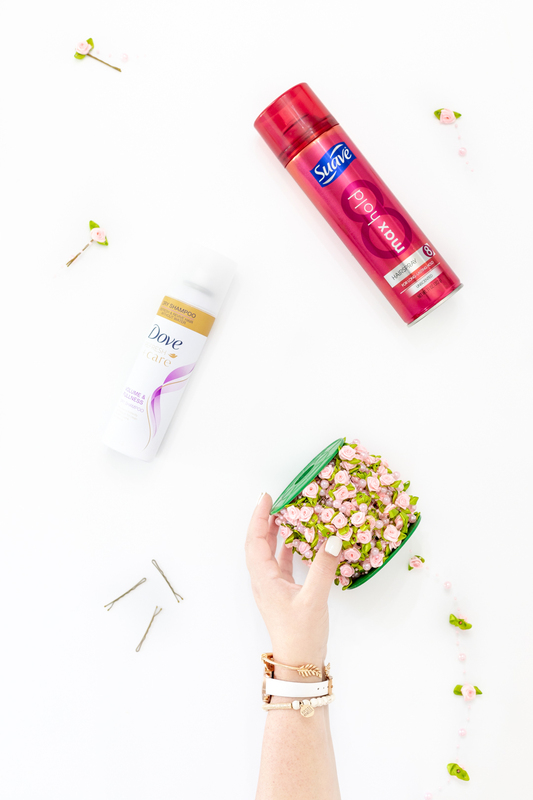 Let’s get into the spring mood and upgrade that hair with the addition of these simple floral hair pins. You only need a few things and a few minutes to make these. Score. STEP ONE: Trim a flower and a little beaded string from the garland. STEP TWO: Use super glue to carefully adhere the flower to the bobby pin. STEP THREE: Let the glue dry completely. This will only take about a minute. STEP FOUR: Flaunt your pretty floral hair pins for maximum spring fabulousness. 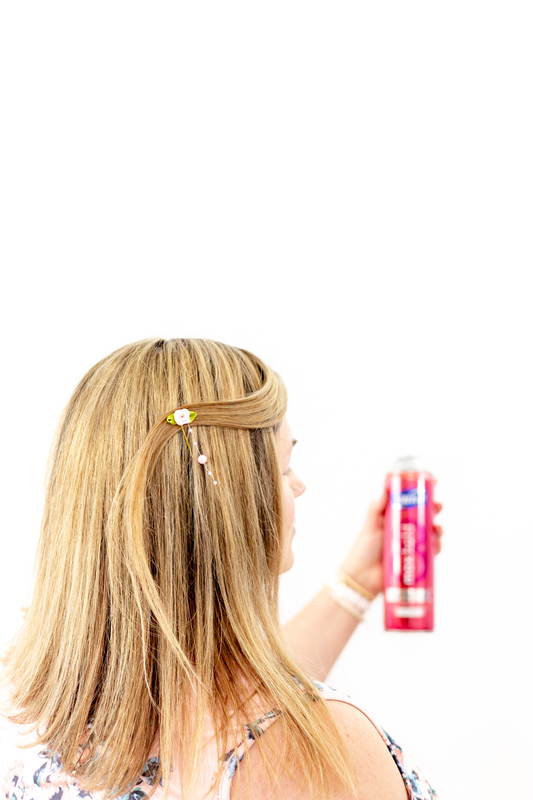 Seal your look with Suave Max Hold Unscented Hairspray or TRESemme TRES Two Extra Hold Hairspray. 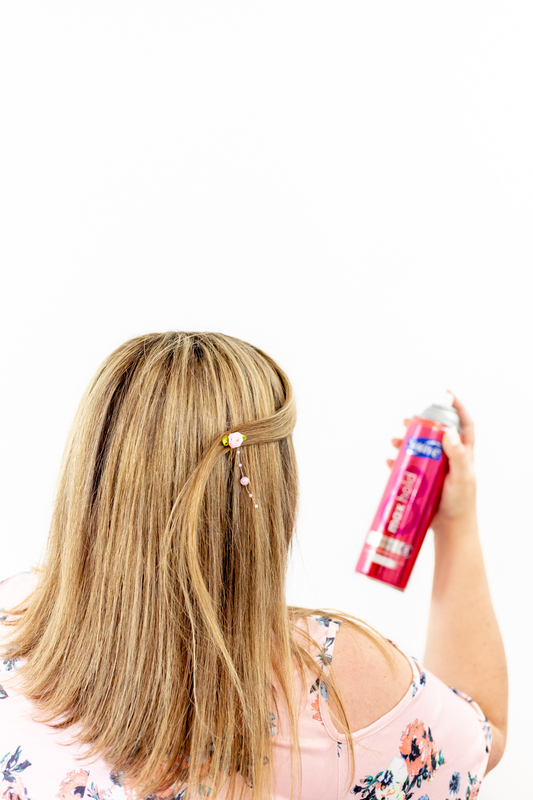 To refresh your hairstyle later in the day or the next day, check out Dove Refresh + Care Volume & Fullness Dry Shampoo which I’m obsessed with or TRESemme Between Washes Volumizing Dry Shampoo. 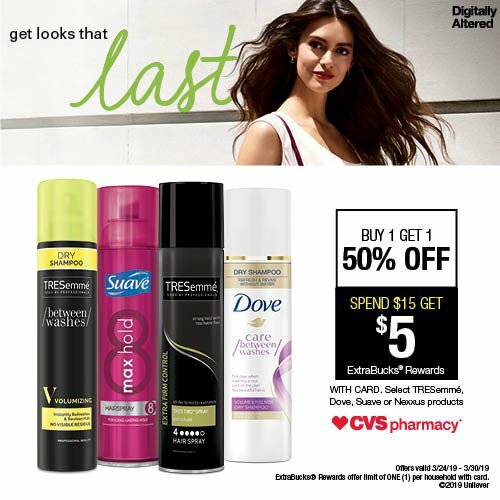 Shop CVS to stock up on must-have spring hair products including select TRESemme, Dove, Suave or Nexxus products. BUY 1 GET 1 50% + Spend $15 and get $5 ExtraBucks Rewards with your card. Hurry, these hot offers are only valid from now through 3/30!